USA- Umbilical Cord Stem Cells Used to Combat Leukemia | "Latest Stem Cells News"
Researchers have discovered that umbilical cord stem cells, found in the blood of the umbilical cord, and able to differentiate into various types of tissue, represent a valid treatment alternative for leukemia patients that cannot find a compatible donor for a bone marrow transplant. American hematologists meeting in San Francisco for the 50th American Society of Hematology (ASH) Congress are now focusing their research on these types of stem cells to fight blood borne tumors. An American study has recently called attention to the possible applications of umbilical cord stem cells for leukemia treatments. For years, stem cells transplants have been considered the standard treatment for this form of cancer, but oncologists normally perform autologous transplants using the patient’s own cells or find a compatible stem cell donor, before treating with chemotherapy. Resorting to incompatible donor cells is considered an extreme measure and creates major problems with rejection and mortality. “Umbilical cord stem cells, thanks to their immaturity, become a valid alternative if there is too little time, as in cases of acute leukemia,” according to Mary Eapen of the Center for International Blood and Marrow Transplantation, working in collaboration with the European Group for Blood and Marrow Transplantation, and the New York Blood Center. The therapeutic effects of the blockbuster leukemia drug imatinib may be enhanced when given along with a drug that inhibits a cell process called autophagy, researchers from the Kimmel Cancer Center at Jefferson reported. 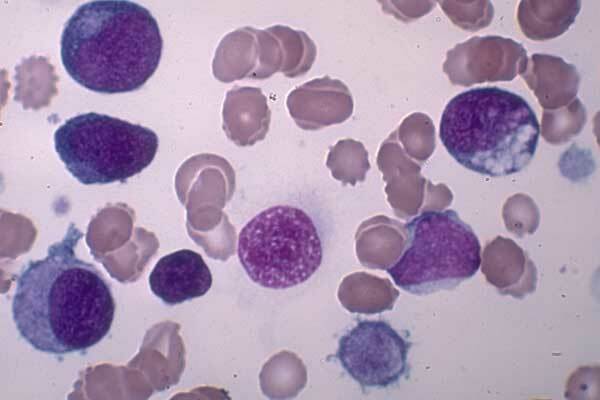 The cell-death effect of imatinib (Gleevec) was potentiated when chloroquine, an autophagy inhibitor, was given with imatinib for the in vitro treatment of chronic myeloid leukemia (CML) cells including the CML stem cells, according to Bruno Calabretta, M.D., Ph.D., professor of Cancer Biology at Jefferson Medical College of Thomas Jefferson University. Autophagy is a process that allows cells to adapt to environmental stresses, and enables drug-treated CML cells to escape cell death. Imatinib is a tyrosine kinase inhibitor that suppresses proliferation and induces death of the malignant cells that cause CML. However, additional effects of the drug have not been studied in detail, according to Dr. Calabretta. In this study, Dr. Calabretta’s team, along with Dr. Paolo Salomoni’s team from the MRC Toxicology Unit at the University of Leicester in the United Kingdom, found that imatinib induces autophagy in CML stem cells that overexpress a protein called p210BCR/ABL. Stem cells that express this protein have been historically resistant to imatinib and also to second-generation tyrosine kinase inhibitors, including dasatinib, nilotinib and bosutinib. 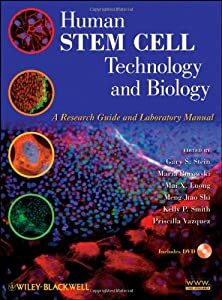 The autophagy process allows stem cells to survive treatment with imatinib, and continue to survive. The researchers used chloroquine to see if it would have an effect on imatinib treatment. The dual treatment with imatinib and chloroquine eliminated most CML stem cells. Also, imatinib-induced cell death was significantly increased in mice inoculated with p210BCR/ABL-expressing cells. This research was published in the April 13 issue of the Journal of Clinical Investigation.